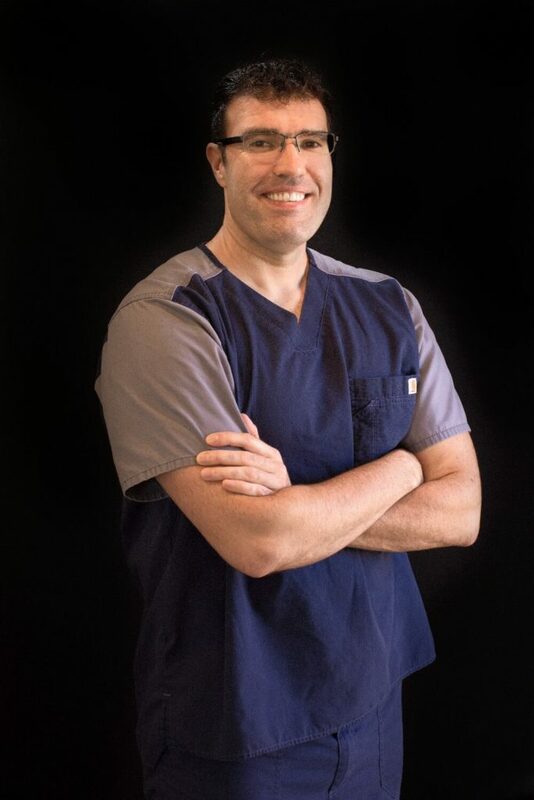 Dr. Kirk Juhasz (you-haaz) is a graduate of the University of Florida, School of Dentistry. Originally from a small town in Idaho, Kirk grew up the middle of seven siblings. He learned the joy and value of work from an early age working in the garden with his mother. His father has a military background were he worked as an engineer as well as a helicopter test pilot. The odd jobs that Kirk had growing up that helped foster a love of work include delivering newspapers (age 11-14), officiating basketball and soccer (age 15-18), working with a mentally challenged man to live more independently, Door-to-door satellite TV salesman, sandwich artist at Subway, busboy, and most recently a Dentist. Respectfully, he carries the honor of being an Eagle Scout. He currently works with the Venture and Varsity scouts in troop 107. Kirk and his wife Tanya are proud parents of 3 kids. Those firecrackers are their number one hobby as well as their “pride and joy.” Kirk’s wife, Tanya, is a former Miami Heat Dancer as well as the director of the first Major League Baseball Dance/Cheerleading team with the Florida Marlins. Their wedding in 2005 was featured on TLC’s “The Wedding Story.” Occasionally, strangers will recognize Kirk and Tanya from their re-run episode and approach them excitedly. Those chance encounters always seem to be accompanied by feelings of awkwardness! Reading is one of Kirk’s loves. His goal is to have 3 books going at any given time; one spiritual, one political, and one novel. Kirk has given two years of his life to serve a church mission in Poland where he learned to speak Polish on the streets, fell in love with the Polish culture and people, and learned the joy of sacrificing. Before dental school, Kirk assisted on a 10-day dental mission trip to the Galapagos Islands where he first gained a passion for dentistry. His desire is to be able to regularly arrange dental mission trips to serve the less fortunate. Kirk and Tanya moved to Illinois to be closer to family, escape the hustle-bustle of the big city, and to enjoy the quality of life found in the heart of the Midwest. Kirk views dentistry as an outlet to serve others and interact on a personal level. When a patient walks in scared and walks out happy, then he knows he did his job well. Quality, personable dental care is his mission. Dr. Juhasz and his family moved to the tri-state area in November of 2010. Since that time he worked with Dr. John Wilde in Keokuk, reopened Dr. Terry Henert’s office in Carthage, practiced in Quincy with AppleWhite Dental and purchased the Keokuk practice from AppleWhite Dental in October of 2014.